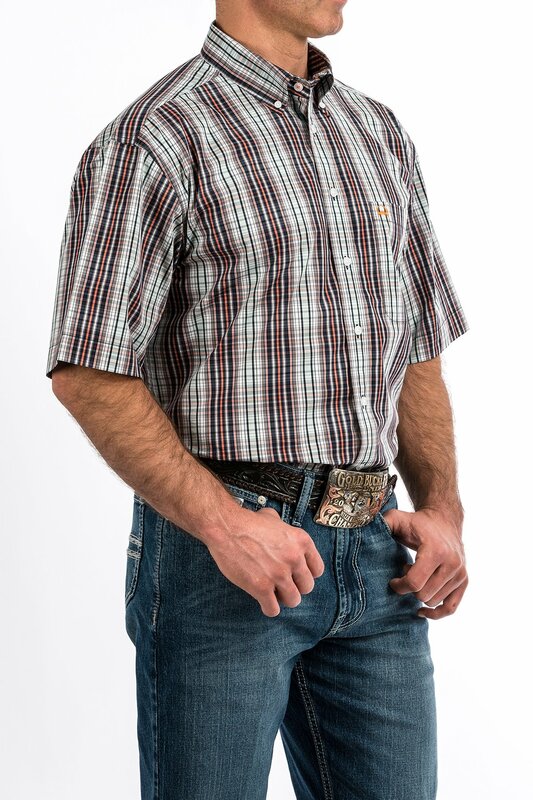 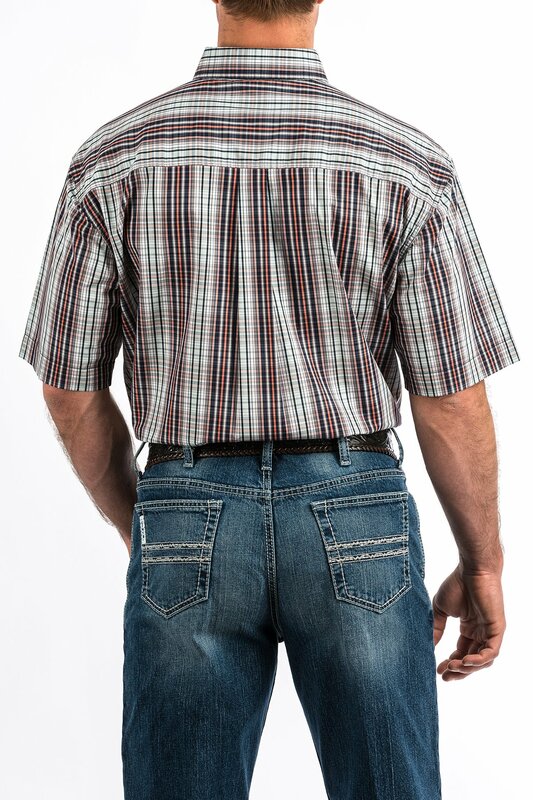 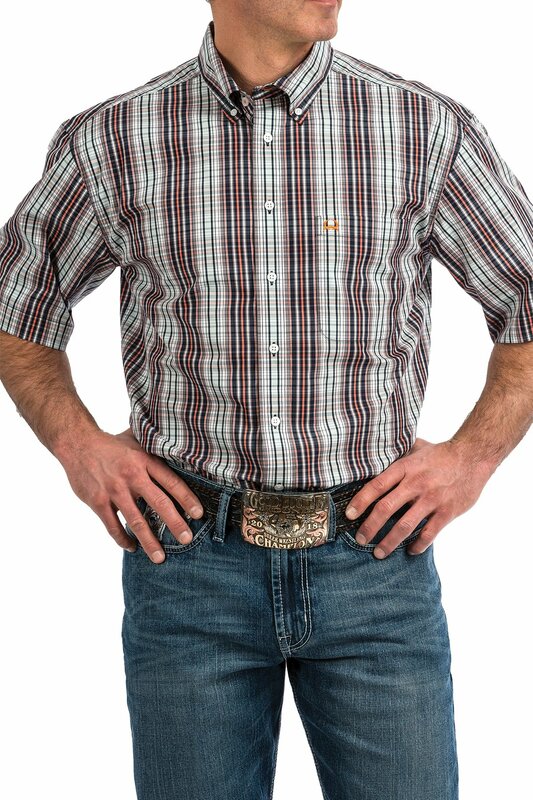 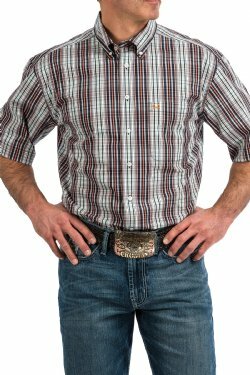 When rising temps call for a wardrobe change, try a short-sleeved ArenaFlex shirt by CINCH. 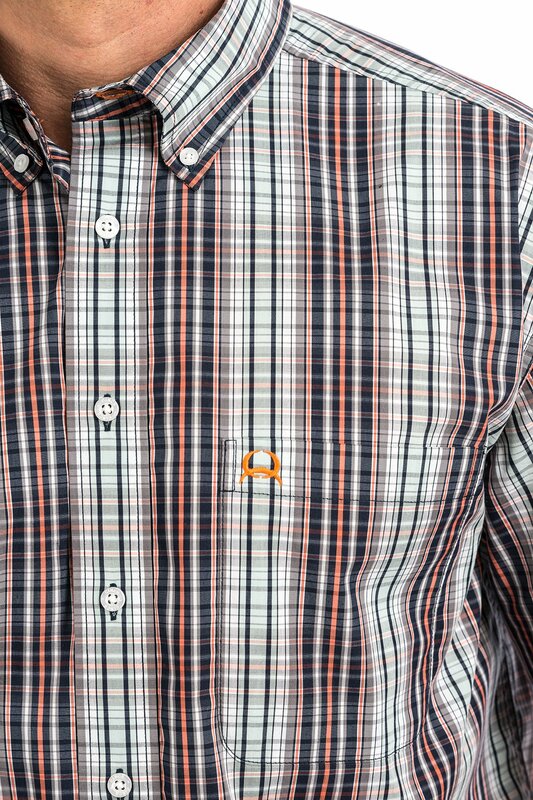 Our multi-colored button down is constructed in lightweight moisture-wicking fabric suitable for any ambitious activity. 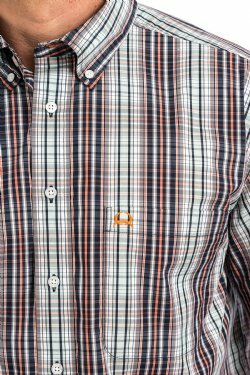 Features white buttons and logo embroidery.